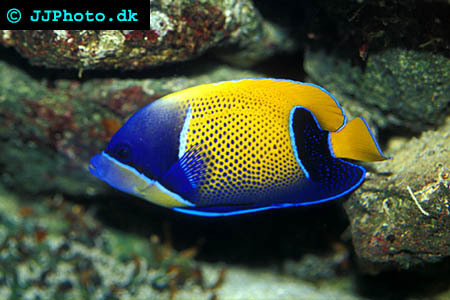 Company: Can be very aggressive towards other angels or similarily shaped fish introduced to the tank after it. Aquarium Setup: 180gal minumum. Plenty of live rock with lots of hiding spaces should be provided. 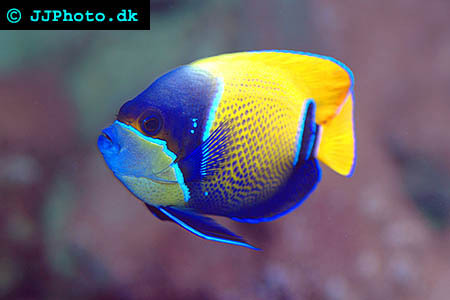 Majestic Angelfish is not a reef safe fish. 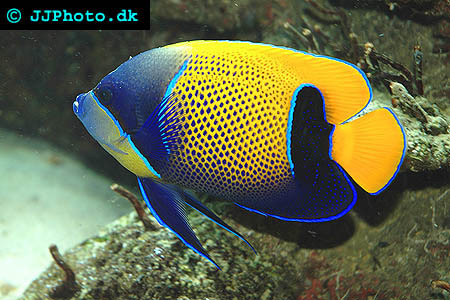 Food: Majestic Angelfish should be offered meaty foods. 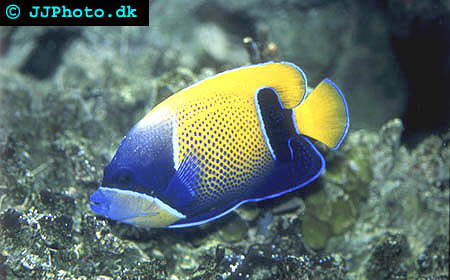 Also special angelfish blend should be offered occasionally.